This activity is sponsored by the Icahn School of Medicine at Mount Sinai. Supported by an educational grant from Horizon Pharma. Rheumatoid arthritis (RA) can lead to severe joint damage and disability, but early diagnosis and therapeutic intervention can improve clinical outcomes and reduce joint damage and disability. This activity will first address the diagnosis of RA from the perspective of a PCP, followed by current treat-to-target recommendations. While many PCPs are uncomfortable initiating disease modifying antirheumatic drugs (DMARDs), other options include glucocorticoids, which can act as a bridge to DMARD therapy. Recent chronotherapeutic developments in the management of RA have the potential to provide PCPs with another tool, especially while awaiting a rheumatology consult or referral. 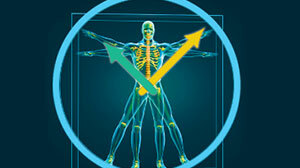 The development of a low-dose delayed-release prednisone formulation now addresses the circadian pattern of symptoms that occurs with RA—in particular the morning stiffness which is seen in many patients. PCPs should be familiar with the available treatment options for RA, as the delay to see a specialist is often considerable. At the same time, rheumatologists should be aware of barriers faced by PCPs in order to better collaborate with them to improve patient care. The Icahn School of Medicine at Mount Sinai designates this enduring material for a maximum of 1.5 AMA PRA Category 1 Credit(s)™. Physicians should claim only the credit commensurate with the extent of their participation in the activity. The course director and faculty, Dr. Yousaf Ali, or a related party, disclose that he has received consulting fees for medico-legal consulting. The faculty, Dr. Erhard Haus, or a related party, have no relevant financial relationship(s) to disclose. Planners, Lynette C. Bobbitt, Program Coordinator, Continuing Medical Education, Icahn School of Medicine at Mount Sinai, and Angela T. Casey, Editorial Director, PharmaCom Group, Inc, or related parties, have no relevant financial relationships to disclose. Posttest. There are 10 questions in the examination and you must achieve a score of 80% or better to earn CME credit. Evaluation and CME credit form. Following successful completion, your certificate will be immediately available online for printing. This material is subject to copyright ©2013 the Icahn School of Medicine at Mount Sinai. All rights reserved. Questions regarding course content may be directed to acasey@pharmacomgroup.com. If you require technical assistance with completing this course, please contact The Doctor’s Channel at (646) 257-5739 or send e-mail to cme@thedoctorschannel.com.